This is an interesting historical document. It is one of the first batch of certifications of Civil Celebrants in the USA (i.e for the State of New Jersey). First of all, congratulations to my colleagues in the USA who fought a long and now successful political campaign to achieve this- Gaile Sarma – sponsor of the Celebrant USA Foundation – and Charlotte Eulette, the Director of the Foundation from the beginning. They have always been gracious in acknowledging our founder, Attorney-General Lionel Murphy. 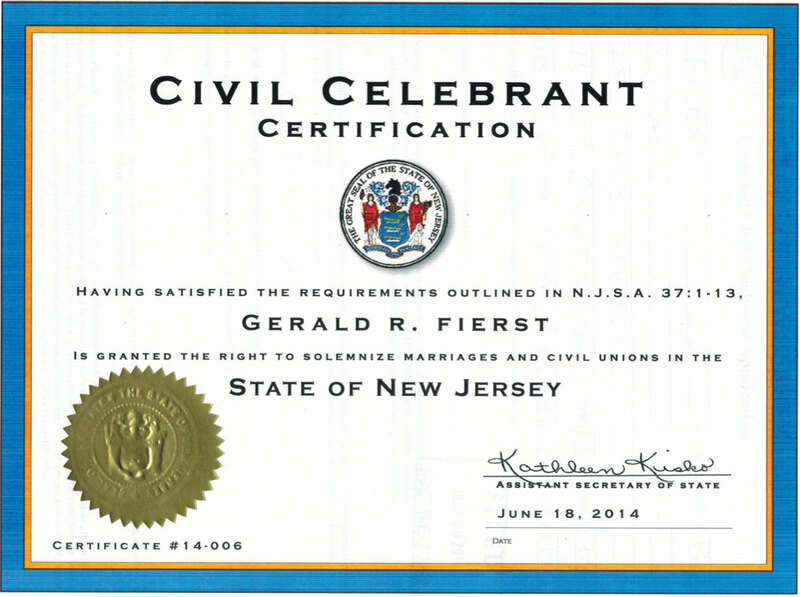 New Jersey based its system on our Civil Celebrant program as it was before 2003. 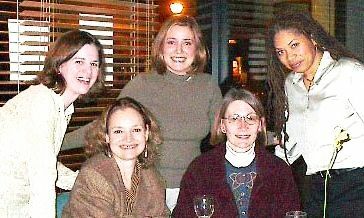 (This is when we ceased to become Civil Celebrants and became “Commonwealth Authorised Celebrants” i.e. jumbled up with the clergy – a retrograde step if ever there was one, which I hope we can reverse when we get an interested Attorney-General. one has to complete a six month interactive audited and approved course on how to deliver high quality ceremonies for secular people. (not legal trivia). Gerald Fierst is graduate of the International College of Celebrancy, as indeed are the first 30 celebrants or so, after which time our graduates over there set up their own teaching system. This entry was posted in Uncategorized by Dally Messenger. Bookmark the permalink.